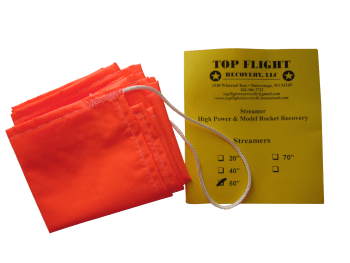 36" Crosffire Pre-Assembled, Rip-Stop Nylon Parachute Highest quality, Six-Panels Parachute. Reinforced, Ultra-Strength with nylon flat-BraidedLines. 48" Crossfire Pre-Assembled, Rip-Stop Nylon Parachute Highest quality, Six-Panels Parachute. Reinforced, Ultra-Strength with nylon flat-BraidedLines. 60" Crossfire Pre-Assembled, Rip-Stop Nylon Parachute Highest quality, Six-Panels Parachute. Reinforced, Ultra-Strength with nylon flat-BraidedLines. 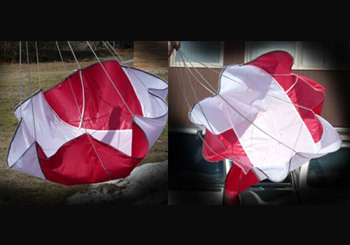 78" Crossfire Pre-Assembled, Rip-Stop Nylon Parachute Highest quality, Six-Panels Parachute. Reinforced, Ultra-Strength with nylon flat-Braided Lines. 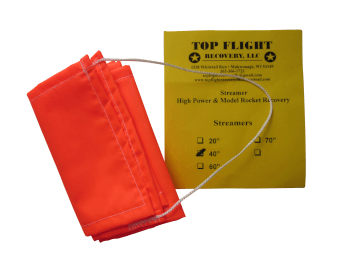 This is a high-quality 2" wide by 20" long streamer for use with a hobby rocket. These quality recovery devices are neon orange, which is great for visibility. 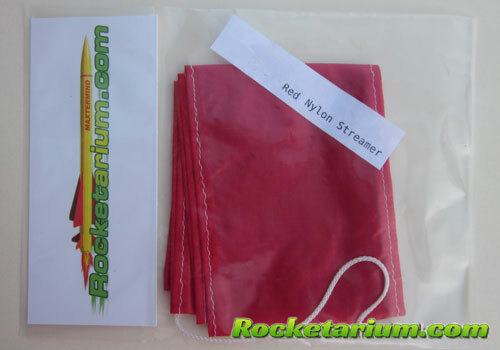 This is a high-quality 2.25" wide by 30" long streamer for use with a hobby rocket. These quality recovery devices are neon orange, which is great for visibility. 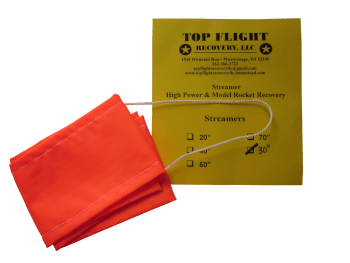 This is a high-quality 4" wide by 40" long streamer for use with a hobby rocket. These quality recovery devices are neon orange, which is great for visibility. This is a high-quality 5" wide by 50" long streamer for use with a hobby rocket. 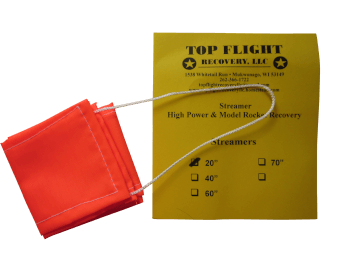 These quality recovery devices are red, which is great for visibility. This is a high-quality 6" wide by 60" long streamer for use with a hobby rocket. 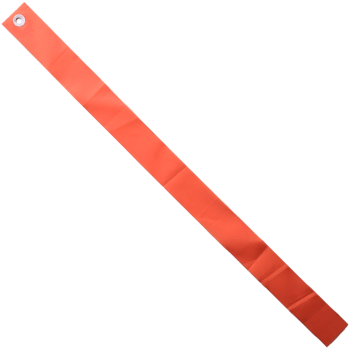 These quality recovery devices are neon orange, which is great for visibility.